Cleveland Golf creates Men’s Golf Clubs with state of the art materials, cutting-edge processes, and proprietary technologies that help you play better golf. With men’s golf equipment advancements that you can’t get anywhere else, Cleveland Golf helps you dominate all over the course. When you choose Cleveland Golf Men’s Golf Clubs you’re getting decades of mastery and innovation— the same technology relied on by golf professionals on tours around the world. 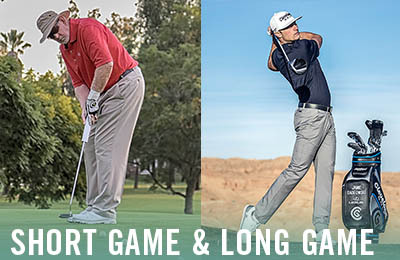 Ready to own every aspect of your golf game? 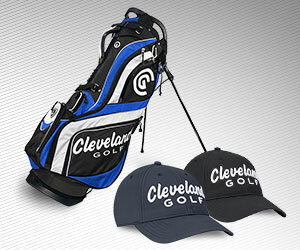 Play Cleveland Golf men’s woods, irons, wedges and putters. Designed in Huntington Beach, California: Where Scoring Matters. 65% of your golf shots are taken from 125 yards and in. With wedge shots making up most of the strokes on your scorecard, it’s crucial you play men’s wedges packed with score-dropping technologies. Cleveland Golf has been dominating the wedge industry with short game innovations since 1979. For decades, tour professionals and avid golfers alike have relied on our groundbreaking short game technologies to score low and play better golf. Most men play cavity back iron— now there’s a cavity back wedge with the same forgiveness features. 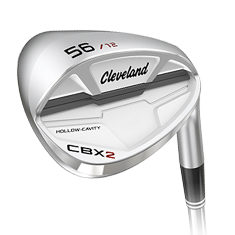 Enjoy a better, more consistent short game with the forgiving yet versatile Men’s Cleveland CBX wedge. The most forgiving men’s wedge we’ve ever made: with a refined sole and optimized loft in the Men’s Smart Sole 3 S and C wedges, you can finally stop hacking and start scoring. Cleveland Golf creates metal woods optimized for the guy who prefers to launch the ball high, straight, and far, every time. 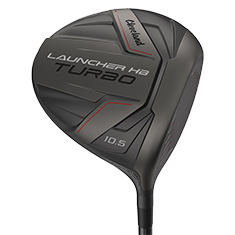 The next level of driver performance is here: the Men’s Launcher HB Driver uses an ultra-lightweight hosel, low and deep weighting, Flex-Fin Technology, and the HiBore Crown to give male golfers ultimate distance and forgiveness. 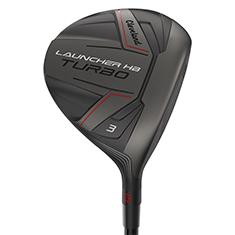 Get yourself in scoring position with Men’s Launcher HB Fairway Woods. 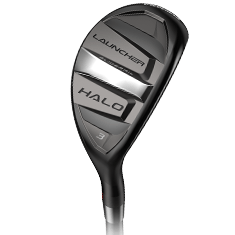 A HiBore Crown, Flex-Fin Technology, lightweight hosel, and low and deep weighting get you a forgiving, high launch trajectory with plenty of forgiveness. Reach for Men’s Launcher HB Hybrids when you need to boost your iron performance with a higher launch and more ball speed. A HiBore Crown, Flex-Fin Technology, and low and deep weighting make it easy to launch the ball high and far. Cleveland Golf men’s irons feature a winning combination of our proven wedge spin technology and high launching distance technology. Take control with wedge spin plus distance technology. Launch it high, far, and straight, with enough spin to place the ball right where you want it. It’s the ultimate in forgiveness: Men’s Launcher HB Irons are fully hollow with a HiBore Crown for the most forgiving, longest irons Cleveland Golf has ever produced. Cleveland Golf Men’s Putters combine classic shapes with modern innovations that boost your performance on the green. The ultra-soft 304 stainless steel used in each Huntington Beach Collection Putter has a precision milled face for a truer roll. 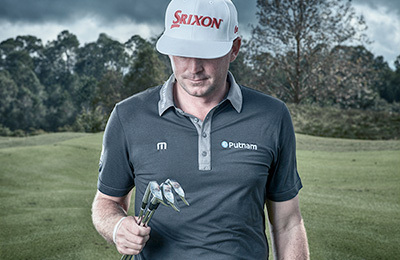 The tour-proven putter shapes are the same seen on tours around the world. With an alignment line raised 21.35 millimeters from the ground, the exact radius of a golf ball, Men’s 2135 TFi Putters never lie to you, making it easy to get perfect alignment when addressing every putt. Cleveland Golf creates Men’s Golf Clubs with state of the art materials, cutting-edge processes, and proprietary technologies that help you play better golf. With men’s wedge and men’s putter advancements that you can’t get anywhere else, Cleveland Golf helps you dominate your short game. When you choose Cleveland Golf Men’s Golf Clubs you’re getting decades of wedge mastery and putter innovation— the same short game technology relied on by golf professionals in tours around the world. Ready to own 125 yards and in? Play Cleveland Golf men’s wedges and putters; designed in Huntington Beach, California: Where Scoring Matters. 65% of your golf shots are taken from 125 yards and in. With your wedge game making up more than half of every point on your scorecard, it’s crucial you play men’s wedges packed with score-dropping technologies. Cleveland Golf has been dominating the wedge industry since 1979 when we released the 588 Wedge, the #1 selling wedge of all time. For decades, tour professionals and avid golfers alike have relied on our innovative short game technologies to score low and play better golf. So, if you want to improve your short game performance, rely on Cleveland Golf Men’s Wedges to help you get there. For guys who demand the ultimate in performance, versatility, and tour validation, the Men’s RTX-3 Wedge in Tour Satin, Tour Raw, and Black Satin is Cleveland’s highest performing wedge offering. Generate massive spin with Rotex, the most advanced wedge face ever created. Tour Zip Grooves, Laser Milling, and Two Pass Micro Milling combine to generate the most spin and control from any men’s wedge we’ve made. Feel balancing technology moves the center of gravity to the center of the face, closer to a male golfer’s ideal impact position. This helps the Men’s RTX-3 feel great and boosts consistency. The most forgiving men’s wedge we’ve ever made, the Smart Sole 2.0 wedge system makes it easy to get onto the green or out of the sand. Stop struggling with your short game: with the refined soles and optimized lofts in Men’s Smart Sole 3 S and C wedges, you can finally stop hacking and start scoring. Cleveland Golf Men’s Putters combine classic looks and designs with modern innovations that boost your performance on the green. From revolutionary alignment technology that helps you keep every put on line, to classic putter designs upgraded with new materials that enhance feel, Cleveland Golf Men’s putters offer everything you need to putt confidently and get in the hole with less strokes. 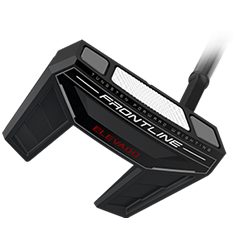 Get the premium men’s putter experience without the premium price. Men’s Huntington Beach Collection putters are made with superior materials and processes with a price that’s right for any guy. 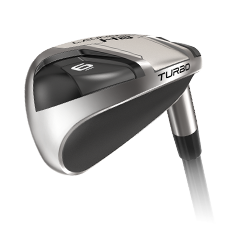 The ultra-soft 304 stainless steel has a precision milled face that softens feel and increases friction for a truer roll. The 6 tour-proven shape options are the same classic putter shapes chosen by PGA Tour professionals around the world for their reliability and aesthetics. 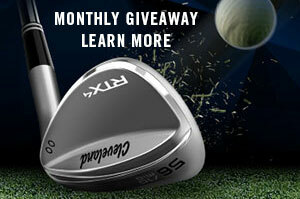 Subscribe to get the latest Cleveland Golf news and exclusive offers. If you're using a screen reader and having problems using our website, please reach us by calling 1-800-999-6263 for assistance. Copyright © Roger Cleveland Golf Company, Inc. All Rights Reserved. New to Cleveland? Sign up for emails and you'll get updates on products, sweepstakes, events and automatically enter to our monthly giveaway.